Commuting in the Philippines is a chore for the body and a torture for the feet. It can even be more difficult for women, what, with the demands for high-heeled shoes and flip-flops. But shoes aren’t my only complaint. 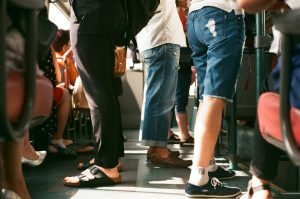 PH commuting, particularly in Manila, means tired, achy feet – no, make that tired, achy legs. The pain radiates from my ankles to my knees and even to my hips. It doesn’t help that I am overweight. My body’s extra fat adds more pressure to my lower torso! Also, let’s consider the fact that I live alone. Which means that even if all I want to do after a long day is rest and sleep, I just cannot. 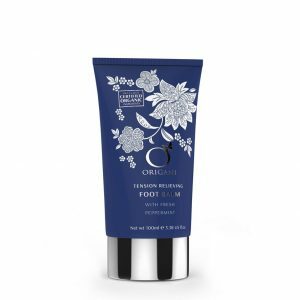 There’s laundry that needs attention or dishes to wash.
You can just imagine what a relief it is when I finally found the best soothing balm for my feet from Origani. It’s called Tension-Relieving Foot Balm. It may not be the most creative name, but it’s straightforward and it delivers. Common Foot Treatment: A Hassle? I’d grab a foot file, scrub as much as I can to remove calluses and thick skin, pat the feet dry, and then start with my pedicure session. Mind you, doing all these by yourself is not easy. Overall, it takes me at least three to four hours, which means this is something that I cannot do all the time. If there’s any other way I can save myself all the trouble and still get the result that I want, I’ll surely grab it, which I did when I became acquainted with Origani Tension-Relieving Foot Balm. Call it fate, but I just happened to pass by the Origani store in Mall of Asia. It looked squeaky clean, elegant, and professional, so I decided to come in. The salesperson was so patient introducing me to their products. I got interested with the foot balm and decided to give it a try. What is there to lose anyway? If it works, I win. If it doesn’t, at least I gave it a try. I’ve been using the product for the past three months now, and so I think I’m ready enough to give you my honest-to-goodness review (and why I love it so much, so there’s going to be some bias here. Ha! Packaging: At a design standpoint, Origani stands out. The packaging is just so beautiful to look at. It looks expensive and enticing. You wouldn’t mind it bringing with you anywhere too as it doesn’t feel flimsy. It doesn’t get easily torn up, yet it’s soft enough you won’t have a problem squeezing the content out. Smell: Honestly, I love the smell of balm, but some are just so strong for my taste. I don’t want the feeling of applying an ointment. This one is different though. It smells nourishing with its peppermint scent. It smells so good I can apply it in the morning before I go to work and not feel conscious my colleagues may notice the medicinal smell. I’d like to think of it as perfume for the feet. Application: The application process is a no-brainer. Just apply a pea-sized amount on your feet. Make sure you cover everything, especially around the sole area where you can develop calluses. That’s it! Let it sit for 10 minutes just to make sure your skin absorbs its nutrients. You can also apply it on your knees and ankles. I also put some on my elbows from time to time. This is non-greasy, so don’t worry if you’re a sweaty person (this doesn’t make you sweat, by the way). Origani uses only the best organic ingredients for its products, but for the foot balm, one of its active ingredients is peppermint, the same one you use for making tea. Peppermint contains around 45 percent menthol, so it provides your body just enough heat to relieve soreness and muscle spasm. The most amazing thing is after heating your body, it also has a cooling effect. It’s like soaking your body in a tub. How’s that for a calming, relaxing, and instant relief? The herb can also relieve achy joints, which is why I highly recommend it to try on your elbows and knees. If you have a desk job, these joints are prone to tension as well. If that isn’t amazing enough, it has antimicrobial properties. This is important since the feet can come into contact with dirty surfaces even if you’re wearing shoes. By adding peppermint, you reduce the risk of developing foot infections and diseases. Lastly, peppermint’s scent work wonders for the brain. It activates sensors in the brain that help us feel relaxed at night. Applying this before bedtime surely gives you the sleep your sore body needs. Results: The Origani Tension-Relieving Foot Balm is actually a foot moisturizer. It keeps your feet and joint from being dry. Dry skin is itchy, and when it’s itchy, you need to scratch it. And scratching may lead to inflammation, redness, and infection. But obviously it does more than that. It soothes your tired feet and knees. Although I don’t have problems with sleep, I usually wake up tired that I would usually have a challenging time prepping in the morning. Since I started using this balm, I noticed myself to be more alert and refreshed. I don’t feel as though I’m always rushing (and you know how tiring that can be). Will I recommend this to my friends or to the readers of this blog? Definitely. Of course! It costs higher than other luxurious balms out there, but one bottle can last for 1.5 months or even longer, since you don’t need to apply much. Most of all, the benefits make it all worth it. Pampering your feet is easy, quick, and practical. You can spend less money on salons and more time taking care of yourself and do other more worthwhile stuff. Like a beauty regimen blog like this!